1. Cook the potatoes in a suacepan of lightly salted boiling water for 10 mins or until tender. Drain well, mash & cool slightly. 2. Flake the tuna. Beat the tuna, cheese, spring onions, garlic, thyme & egg into the mash potatoes. Season with cayenne, salt & pepper. 3. Divide the mixture into 4 even portions & shape into thick 'burgers'. Season the flour with salt & pepper & dust the patties all over with flour. 4. 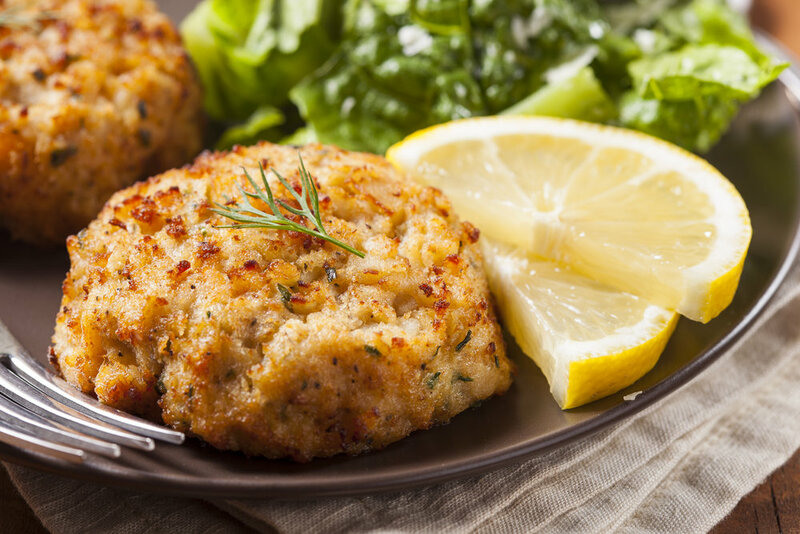 Heat a large non-stick frying pan with the oil until hot, then fry the fishcakes for 5 minutes on each side. Serve with mixed green salad.